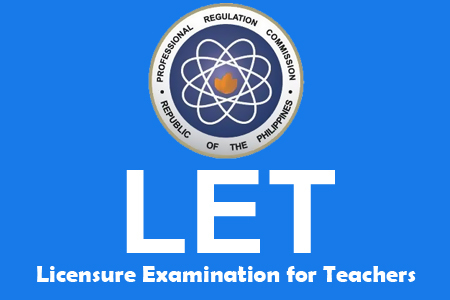 The Professional Regulation Commission and Board of Professional Teachers conducted on Sunday, January 26, 2014, the Licensure Examination for Teachers (LET) in all testing centers nationwide. PRC gave the LET in the cities of Manila, Baguio, Cagayan De Oro, Cebu, Davao, Iloilo, Legazpi, Lucena, Pagadian, Catarman Norther Samar, Baybay City Leyte, Tuguegarao, Zamboanga, Jolo Sulu and Tawi-tawi. This year, LET exam for Elementary has 2 categories, General Education (40%) and Professional Education (60%) and 3 categories for Secondary such as, General Education (20%), Professional Education (40%) and Specialization (40%). According to some sources, the expected date of LET results released is on March 9, 2014, a 30-working days since the last day of examination. For the meantime, If you feel that this story are informative, please bookmark it now or visit this site more often for you to be updated. You may also share this post to your friends so they may know about January 2014 LET Exam Passers list. Comments or suggestions about "Results of January 2014 LET Exam Passers" is important to us, you may share it by using the comment box below.